Deputy director of BBC News Steven Mitchell is to leave the corporation after Nick Pollard's review into the dropped Newsnight investigation into disgraced former BBC presenter Jimmy Savile. The report criticised senior news management and pointed out "chaos and confusion" but found no evidence the investigation was shelved as part of a cover-up. Mr Mitchell stepped aside from his role in November pending the investigation by Mr Pollard - a former head of Sky News. He was directly responsible for the BBC's news programmes, including flagship TV current affairs show Newsnight, and for more than 1,000 members of staff in the news department. Acting director general Tim Davie said Mr Mitchell would "retire from the BBC at a date to be agreed next year". 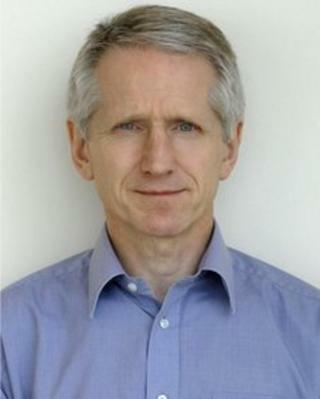 Mr Mitchell, 63, landed the role in April 2008, also taking responsibility for news programmes across Radio 4, 5 Live, Asian Network, Radio 1 and English language World Service. During an interview with Hertfordshire Life in 2009, he revealed the hardest aspect of the job was "a matter of fine judgement". "We are journalists, not historians, and it is sometimes difficult to make a call when events are unfolding all the time and deadlines are continuous." He continued: "You have to make decisions in an imperfect world and against the clock when you haven't got all the information or evidence, and sometimes that involves fine judgement as to whether we're confident enough to go or to delay. And that I find really difficult." Mr Mitchell had previously been the Head of Multimedia Programmes since October 2007, when the BBC created a new department to deal with the challenges of the changing ways audiences were consuming the news. It brought together all of the BBC's major current affairs brands such as Panorama, Today, Radio 1's Newsbeat and Newshour. He started his own journalism career at Thomson Regional Newspapers, working as a reporter and sub-editor in both Newcastle and Cardiff, before joining the BBC Radio newsroom in 1974. He also worked as a reporter on the Today programme before realising that his talents lay behind the microphone and rising through the ranks to the post of senior duty editor in 1986. "I'm not blessed with a very interesting voice," he confessed. "I have to work very hard to put life into my voice on the radio and I cannot for the life of me walk and talk at the same time. So I realised quite early on that I was never going to be a star radio reporter!" In 1994 was appointed Editor of Radio News Programmes and worked on the team that set up Radio 5 live. Five years later, he became Head of BBC Radio News, making him responsible for journalism on all the BBC's domestic radio networks, local radio stations and World Service radio in English. In 2004, he was criticised by the Hutton inquiry over his handling of the Iraq dossier row with the government, which was sparked by a piece from former Today reporter Andrew Gilligan. However the BBC's internal enquiry that followed cleared him of any wrongdoing and found the Hutton inquiry's criticism "unjustified". He said of the issue: "It was quite a stretch but we got through that by sticking to the basic principles of our journalism, and there was no way we [the BBC] were cowed by anything that had happened, although of course it gave us pause for thought." Mr Mitchell was born in Loughborough, Leicestershire, in 1949, the son of a welder. He grew up on a council estate but won a place at Loughborough Grammar School thanks to his 11+ results. He then went to Manchester University where he graduated with a degree in Politics and Modern History. In March 2011 he became the new chairman of the National Council for the Training of Journalists' Qualifications Board, a position he held alongside his job at the BBC.